Wednesday, February 24th, 2015 was a wild day in the NHL, one which saw three significant trades completed in rapid succession. After the sudden, yet largely expected trio of deals, five trades had been made in the NHL within the last 48 hours, adding to the increasing perception that the 2015 Trade Deadline will be much quieter than usual, barring any surprising, unforeseen deadline deals. To recap, here is a quick look at the details of each of Wednesday trades. As many in the hockey world had anticipated when news broke that Toronto Maple Leafs’ President Brendan Shanahan had received permission to essentially “blow up” his team, it was only a matter of time before Daniel Winnik, a pending Unrestricted Free Agent would be traded. In Winnik, the Penguins receive a solid two-way player who is defensively sound and can pinch in offensively from time to time. 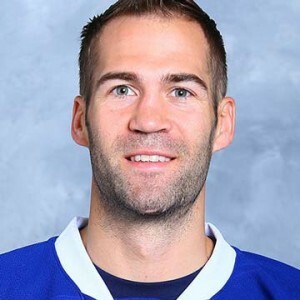 Winnik, 29, who is on pace to set a new career high in points, has scored 7 goals and 26 points thus far this season while he had a team best plus 14 rating with the struggling Leafs. The Leafs don’t get any immediate return from this deal in terms of value, as Zack Sill, a center, is a 26 year old depth forward who will become a free agent come the end of this season. He has scored one goal and two assists this season in 42 games played. For the Leafs, this trade satisfies their current needs, which are the draft picks needed to build the team’s future. The Penguins’ fourth round pick in 2015 as well as Pittsburgh’s second round pick in 2016 will help Toronto begin to stock up young prospects whom they hope will one day become significant contributors at the NHL level. Both teams do well in this deal. Winnik will help the Penguins make yet another playoff push, while the two draft picks will allow Toronto to build it’s team of the future. 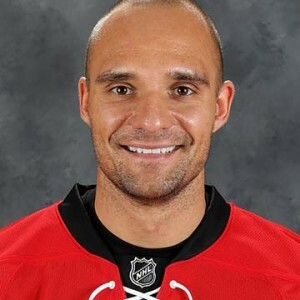 Similar to the Daniel Winnik trade, Andrej Sekera had been rumored to be on the move for quite some time before he was finally traded to the Kings on Wednesday. Andrej Sekera is a 28 year old defenseman who had spent the past two seasons with the Carolina Hurricanes following five seasons with the Buffalo Sabres. An Unrestricted Free Agent at the end of this season, Sekera looks to be due for a decent raise following this season and therefore was unlikely to re-sign in Carolina. Injuries have hampered Sekera in recent seasons, however he is a proven defender who can contribute offensively, considering he scored 44 points last season. The Carolina Hurricanes did well in this trade, receiving a first round Draft Pick from the Kings as well as Kingston Frontenac defender Roland McKeown. The draft pick is conditional regarding where the Kings finish in the standings this season. If Los Angeles makes the playoffs this season, the Hurricanes receive the Kings’ 2015 first round pick, however if they fail to make the playoffs, the first round pick is awarded to Carolina in 2016 instead, assuring the Hurricanes do not have to picks in this years draft lottery for Connor McDavid. Sekera will help the Kings shore up their shortage on defense, considering the current situation with Slava Voynov. However, the Hurricanes not only receive a first round pick, but McKeown, who was a Kings second round pick who has considerable upside. The edge in this deal looks to go to the ‘Canes, depending on the Kings’ playoff success. In a move fairly less significant to the two prior, Jiri Tlusty, a pending Unrestricted Free Agent, was shipped off to Winnipeg for a respectable return. 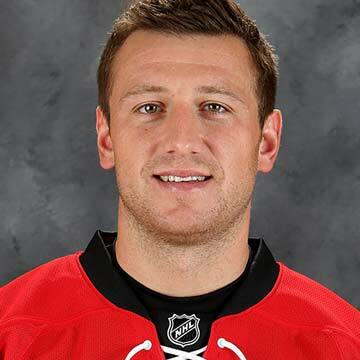 Jiri Tlusty is a 26 year old forward who brings both skill and size to the table. At 6 foot, 210 pounds, Tlusty won’t be out of place in the tough Western Conference. A 23 goal scorer in the lockout shortened season, Tlusty had scored 13 goals and 23 points this season for the Hurricanes. He looks to be a temporary replacement for the injured Mathieu Perreault, who the Jets fear could be lost for the remainder of the season. A third round pick from the Jets in 2016, as well as a conditional sixth round pick in the 2015 NHL Entry Draft which becomes a fifth rounder if the Jets make the playoffs. Not much else to say here, not a great return, but not terrible either. Not a bad trade for either team. The Jets succeed in adding depth at forward as they make an impressive push towards the playoffs.